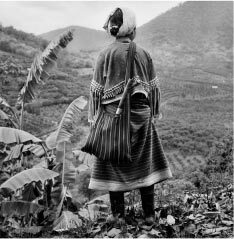 'The Travelling Soul: In Search Of Northern Thai Spirit’, is an exhibition of 53 photographs in black & white & colour, taken by leading Thai photographer Chamni Thipmanee. It comprises a series of striking portraits, architectural and landscape images and scenes of everyday life, representing Thipmanee’s past decade of travels through northern Thailand. Thipmanee’s unique photographic style combines unusual angles and a rich play of texture and light with a deep respect for his subjects. In addition, his attention to small, seemingly unimportant details brings the often overlooked beauty of the familiar into focus. In ‘The Travelling Soul’ Thipmanee takes us on a journey across a region through his own eyes, inviting us to reflect on a variety of topics from Buddhism to spirit worship and nature to cultural identity and changing values. The images, at once emotive and thought-provoking, also serve to link the artist’s inner journey with his outward search to capture a fragile and rapidly changing way of life. 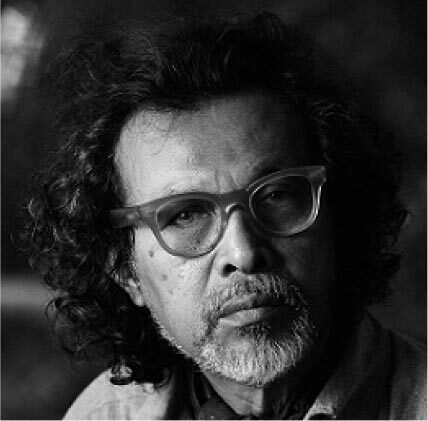 Chamni Thipmanee, one of Thailand’s best known photographers, discovered his passion for photography as a small boy watching his father take pictures in the village where he was born in the southern Thai province of Songkla. As a young man he travelled to Europe to study his craft and returned later to work as a freelance advertising photographer before opening his own still photo production studio ‘Chamni’s Eye’ in 1992. Today, Thipmanee works with many of the most respected names in the advertising industry and recently expanded to open a second production company in Vietnam. Despite his commercial success, the artist prefers to wander, camera in hand, whenever he has an opportunity, taking candid shots of people which reflect on human behavior and social issues as he observes a world which is constantly in flux. 'The Travelling Soul: In Search of Northern Thai Spirit’, opens a window onto Northern Thai customs and traditions. Organized by Tamarind Village Chiang Mai, the show is meant to foster greater understanding of Northern Thai culture and brings its appeal to a larger audience. In addition to the photo exhibition. The Tamarind Gallery, on the second floor of Ruen Tamarind, offers visitors a video installation with a 20 minute long interview with the photographer (shown with subtitles) as well as a series of installations that examine traditional concepts and values such as faith, belief in ancestors, gratitude and respect within families and spirit worship. 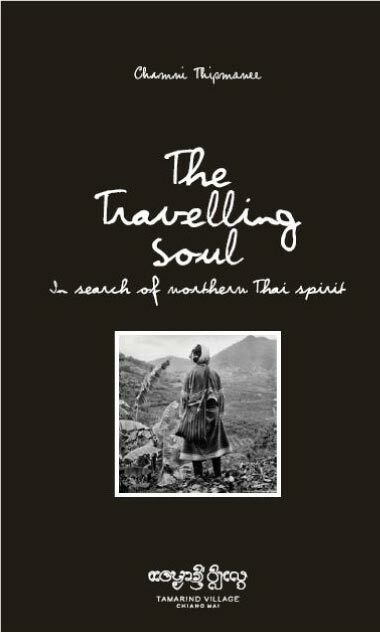 To accompany the exhibition, Tamarind Village Chiang Mai has published a limited edition 108 page book entitled 'The Travelling Soul: In Search Of Northern Thai Spirit’. The book pairs Chamni’s images with interviews with local artists, designers, researchers, architects and villagers who shared their unique perspectives on the photographs. Their personal reflections are recorded in both English and Thai. Another highlight of the exhibition is a set of photographs depicting a colorful Shan Poy Sang Long Buddhist ordination festival the photographer encountered in his travels in Fang, outside Chiang Rai, which inspired well known professor of Lanna culture, Wiluck Sripasang, to pen a series of short poems to accompany the images in Kham Muang, the northern Thai language. The images in this series give a sense of the colour and buzz of activity that accompanies the Poy Sang Long while the poems are at once playful and poignant, capturing the pride of the parents and the innocence of the boys, about to become young men in the eyes of the community and their peers. Both the images and the poems touch on the deep faith of the Shan and their steadfast belief in Buddhism.